The main point of The Diabetes Code is that since overconsumption of carbohydrates in a chronic manner leads to an insulin response in our bodies that causes diabetes, the most effective and fruitful way to reverse the disease is to lessen carbohydrate consumption. 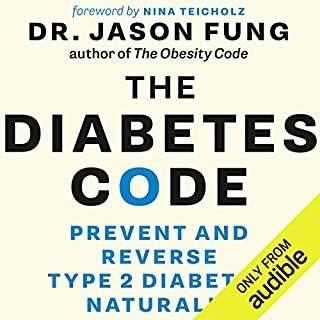 Disclaimer: This is an unofficial summary of The Diabetes Code: Prevent and Reverse Type 2 Diabetes Naturally by Jason Fung. The original is available on Amazon and Audible. 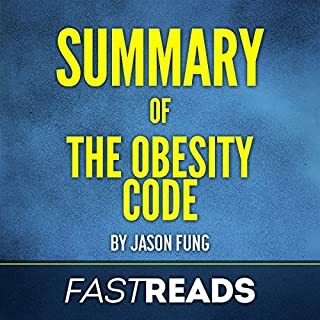 Important note: This is a summary of The Obesity Code by Jason Fung and is not the original book. In his important book, Dr. Fung takes aim at age-old myths about weight control and the "perfect diet". The result? An adaptable, sustainable plan where no foods are off-limits and no food groups are excluded while addressing larger underlying issues related to hormones, appetite, insulin resistance, and fat storage. This audiobook is not meant to replace the original book but to serve as a companion to it. Really, a worthy to buy Summary book! Is it possible to eat well, drink wine, and still lose weight? Melanie Avalon is living proof that it's not only possible, it's unbelievably simple and straightforward. 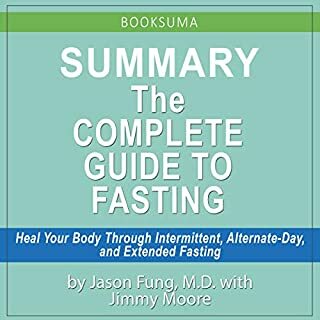 It's all about the what (mostly paleo, but she's not a monster about it), the when (believe it or not, brief fasting can mean freedom rather than restriction), and the wine (red wine can be a secret bullet for weight loss - who knew?). It's a combination that Avalon discovered after years of self-experimentation and intense research on the mechanics of body fat regulation. 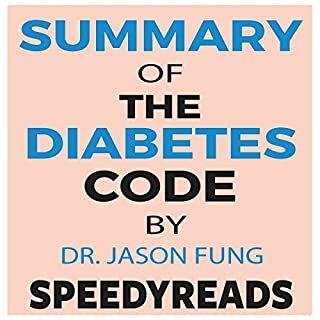 This SUMOREADS Summary & Analysis offers supplementary material to The Obesity Code: Unlocking the Secrets of Weight Loss to help you distill the key takeaways, review the book's content, and further understand the writing style and overall themes from an editorial perspective. Whether you'd like to deepen your understanding, refresh your memory, or simply decide whether or not this book is for you, SUMOREADS Summary & Analysis is here to help. Absorb everything you need to know in under 20 minutes! What does this SUMOREADS Summary & Analysis Include? 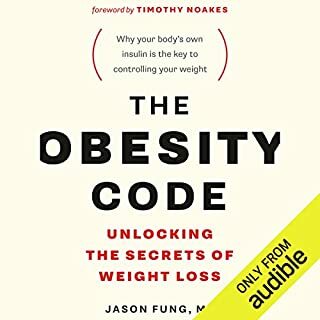 In The Obesity Code, Jason Fung settles one of the most divisive debates of the last fifty years: what makes people fat, and what can the regular Joe do to cut some weight? He reframes obesity from a reprehensible disease of gluttony and sloth to a hormonal imbalance disorder than can be reversed with healthy choices and intermittent fasting. Before You Buy: The purpose of this SUMOREADS Summary & Analysis is to help you decide if it's worth the time, money and effort reading the original book (if you haven't already). SUMOREADS has pulled out the essence - but only to help you ascertain the value of the book for yourself. This analysis is meant as a supplement to, and not a replacement for, The Obesity Code. Loved the full book, and this was the perfect quick reminder that keeps me motivated! lost 15 lbs, going for another 15. I wasn't sure if I wanted to buy the actual book or not and decided to give this a try. Has amazing information and is straight to the point. I will be purchasing the full book, thank you Sumoreads! this was a great summary that hit all the main points in a short period of time. it saved a tremendous amount of time and I also liked the narrator's voice that made retaining the information easier. 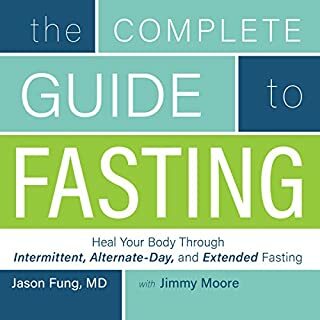 This is a good key points about obesity and fasting. I recommend this concise summary. Narration: crystal clear, enthusiastic, engaging. Approach: Excellent summary of key points. If you purchase this summary you will not then have to purchase the unabridged edition. loved it . essential for good health. low carb high fat diet is essential for good health. my first book had problems concentrating on the narration. very informative. like it will buy more books. This is a summary of a much bigger book. It's just about right and summarises well. There is still plenty to take in and I have listened to it 4 times already.